Flooded intersection at Ranchview and Overton Park East from a water main break. 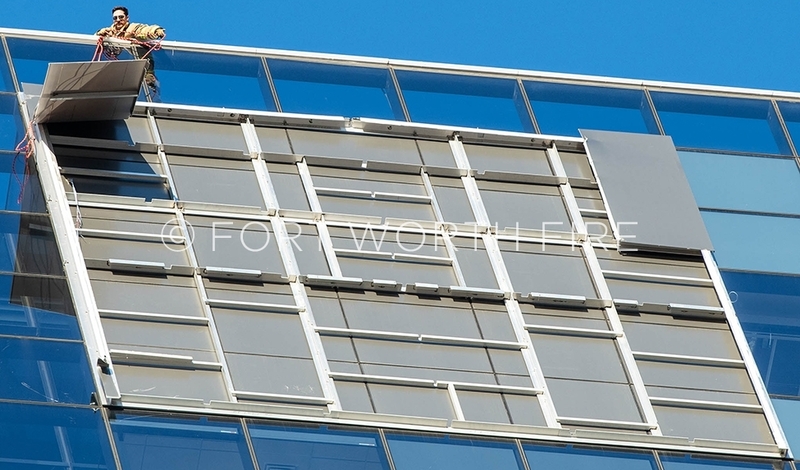 Benino Torrez secures a sign that came loose from the Frost Bank tower building. 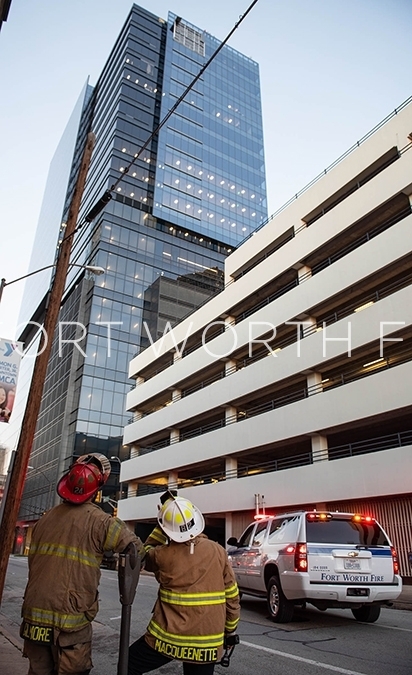 Captain Aaron Gilmore and BC W. MacQueenette discuss a plan to remove a hanging sign from the Frost Tower. Blake Michener surveys the damage to a plane that crashed shortly after takeoff along Beach Street. 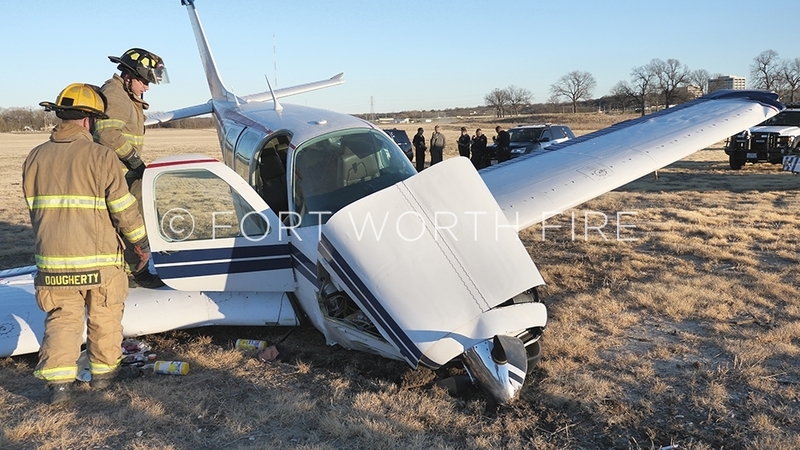 Blake Michener and Tom Dougherty survey the damage to a plane that crashed shortly after takeoff from Meacham Airport. 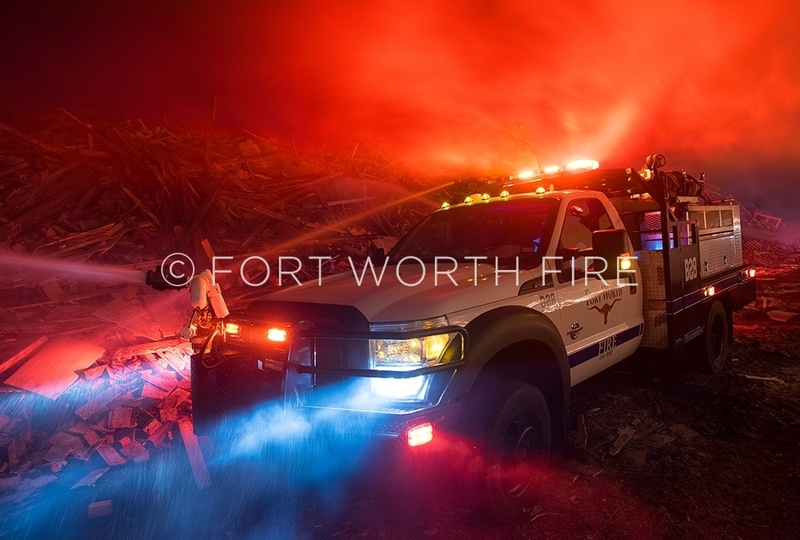 Brush 28 heads towards a 3 alarm grass fire in the 7900 block of Old Granbury Road. 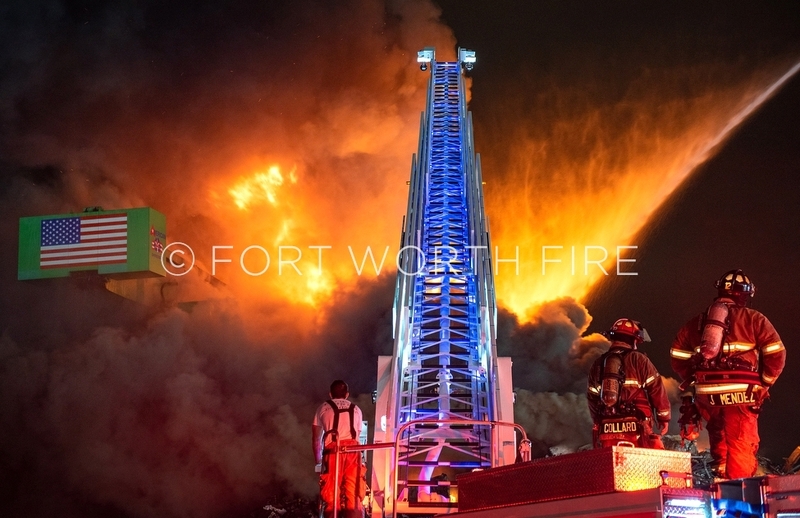 Capatain David Collard and James Mendez atop Quint 12 during a scrap metal fire. 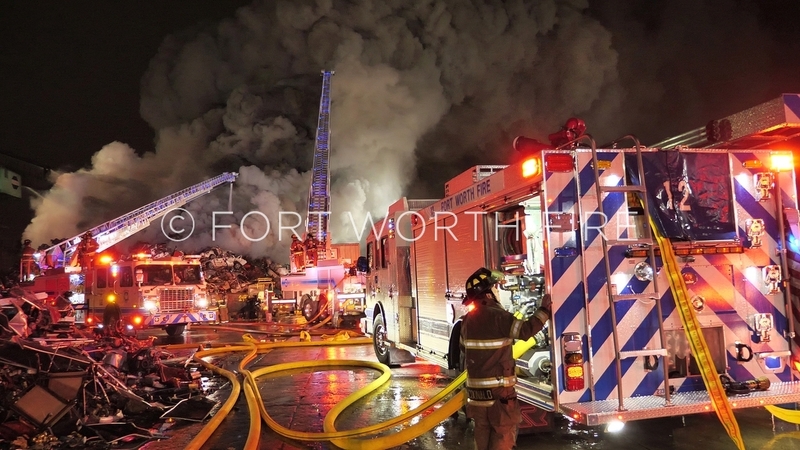 Dallas MacDonald operating Engine 12 during a multi alarm scrap yard fire. 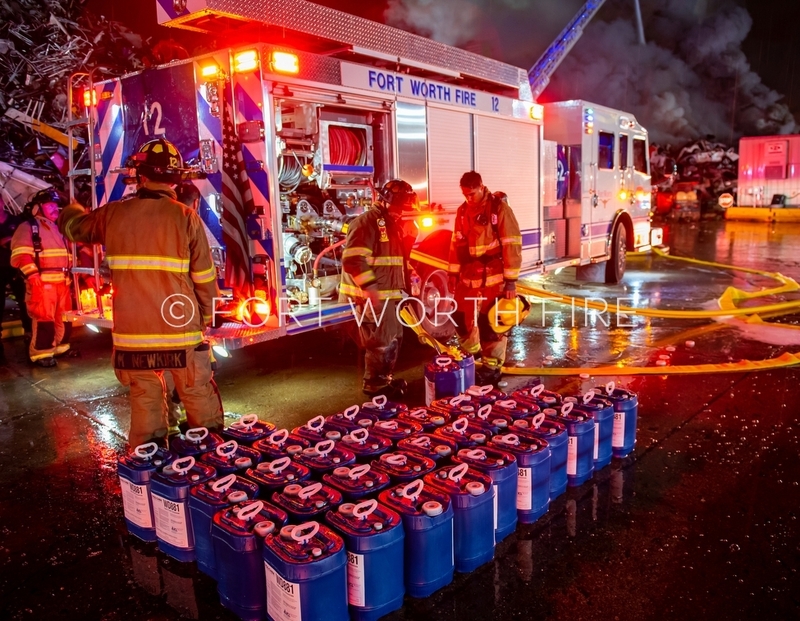 Foam containers lined up for use during a scrap metal facility fire on 38th Street. 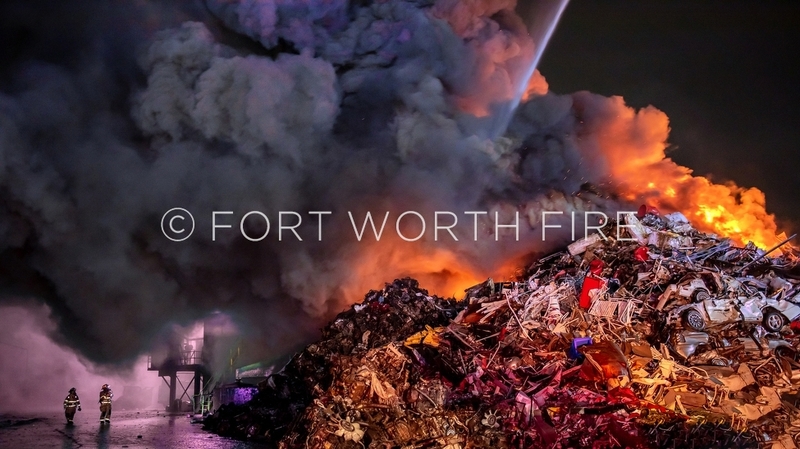 Quint 12, left and Quint 9 operate in tandem at a fully involved scrap metal pile. 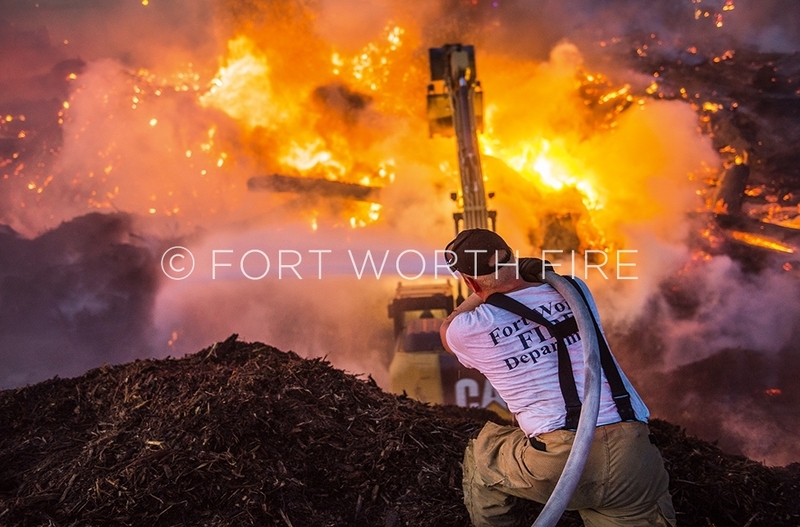 Captain Larry Manasco does a sizeup on a large well involved scrap metal pile on 38th Street. 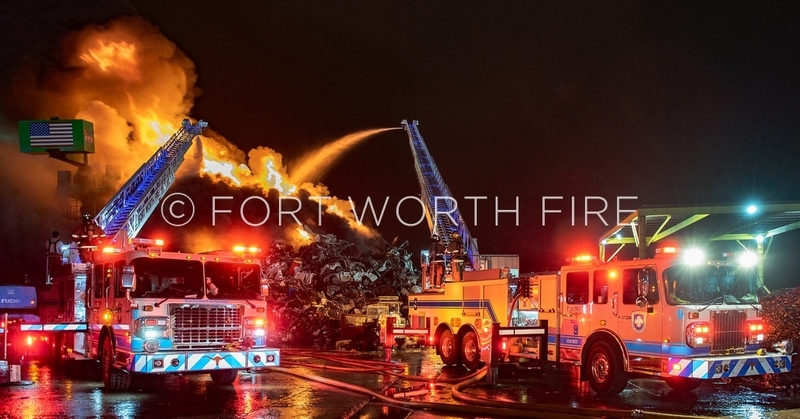 Firefighters extinguish a fire in a concession area at the Fort Worth Zoo. 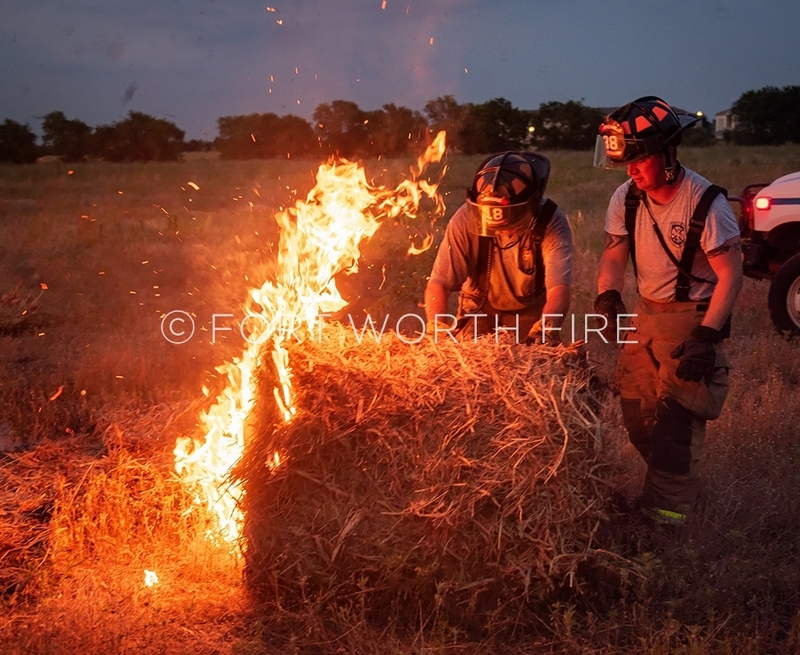 Craig Cox and Patrick Bearden roll out a burning hay bale. 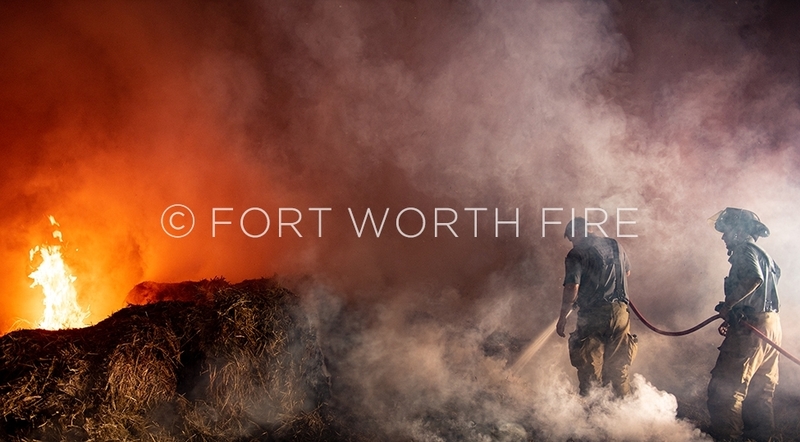 Chad Asher and Craig Cox work on extinguishing burning hay during a large grass fire. 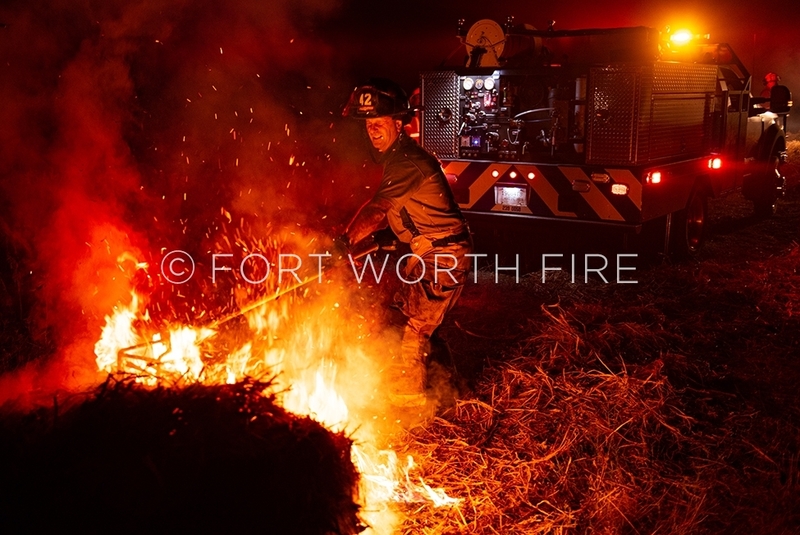 Ray Russell breaks up a burning hay bales during a grass/hay fire. 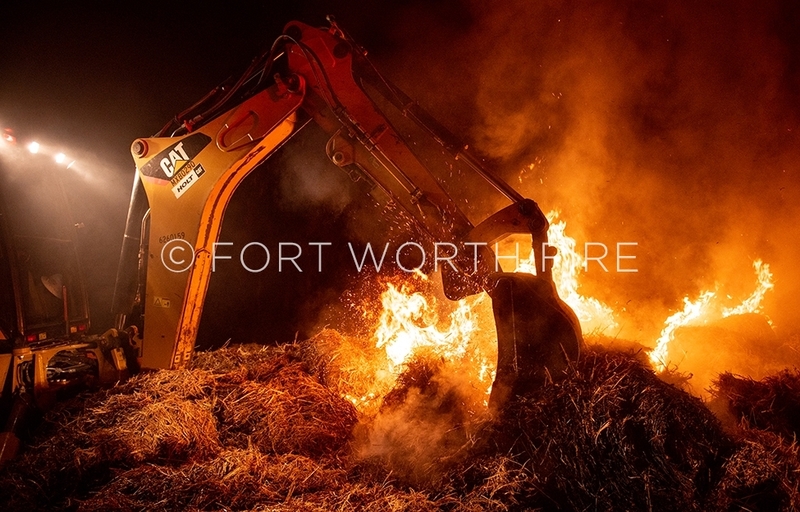 A back hoe is used to open up several large round bales of hay during a hay/grass fire on Oak Grove Shelby Road. 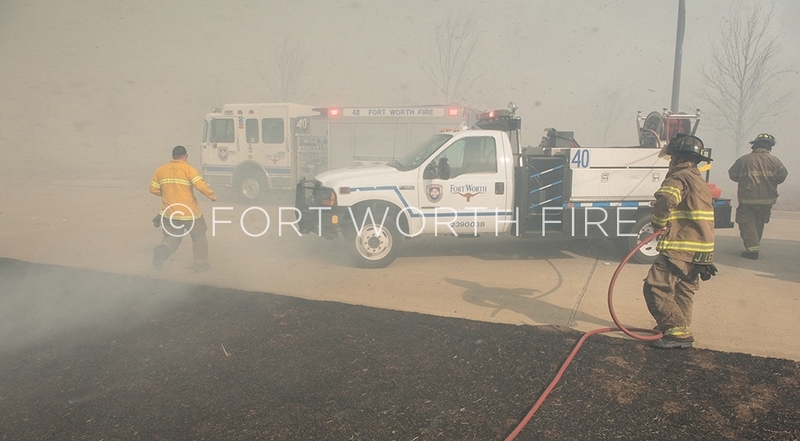 Aledo brush trucks assist on a 2 alarm grass fire on Sparrow Hawk drive. 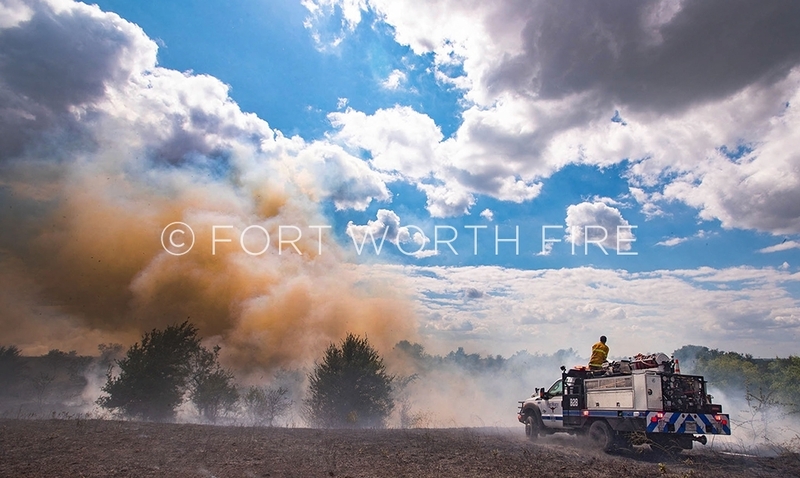 FW firefighters wwork an area in the Walsh Ranch development during a multi alarm grass fire that threatened homes and a school in the area. 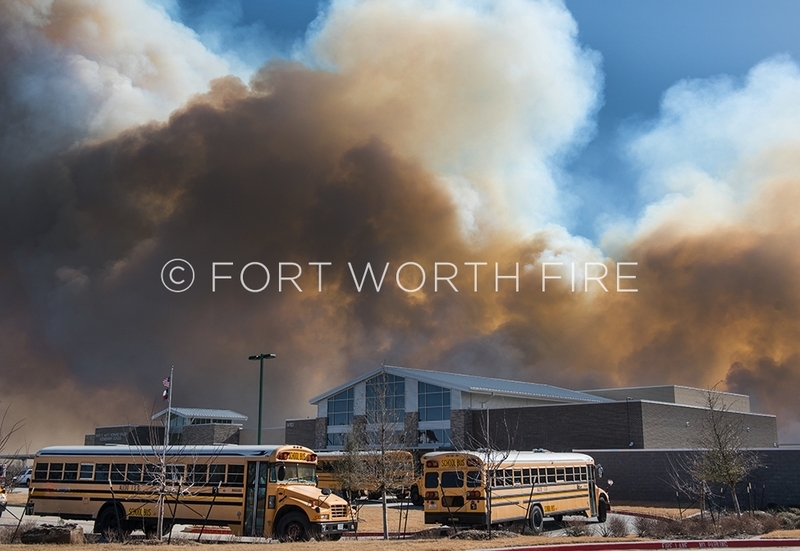 Buses lineup to evacuate students at the Walsh Elementary school as a large grass fire moves towards the building. 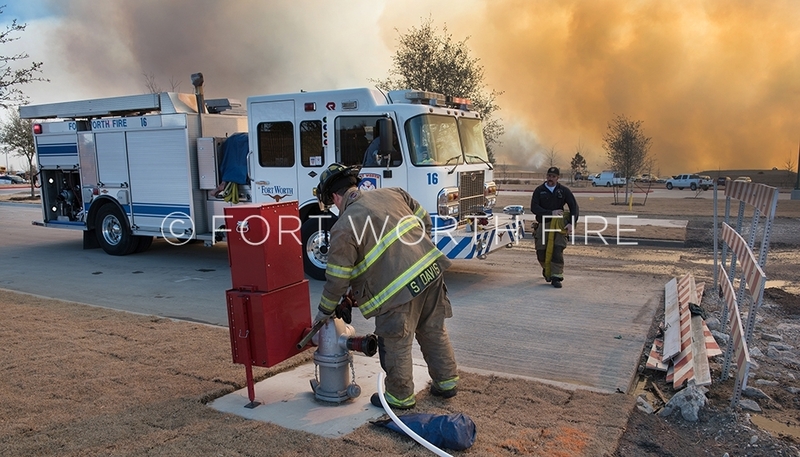 Fort Worth firefighters set up a water supply area near the Walsh Elementary School as a grass fire closes in on the school. 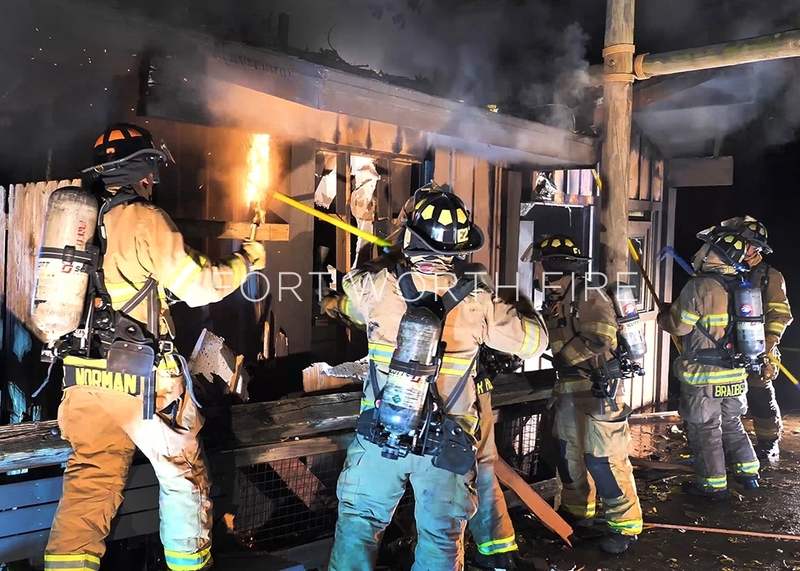 The school was evacuated as a precaution during the large brush fire. Randall Brown cools down an excavator working to split a mulch pile in Forest Hill. 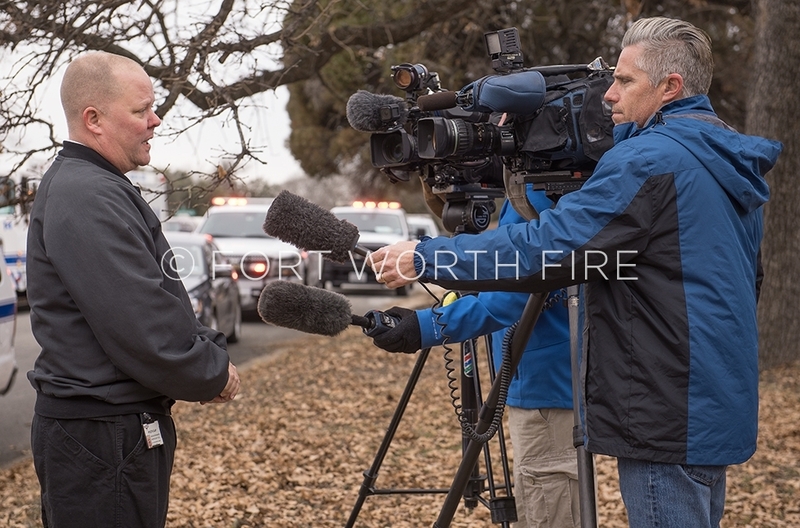 PIO Kyle Clay addresses the media during a structure fire. 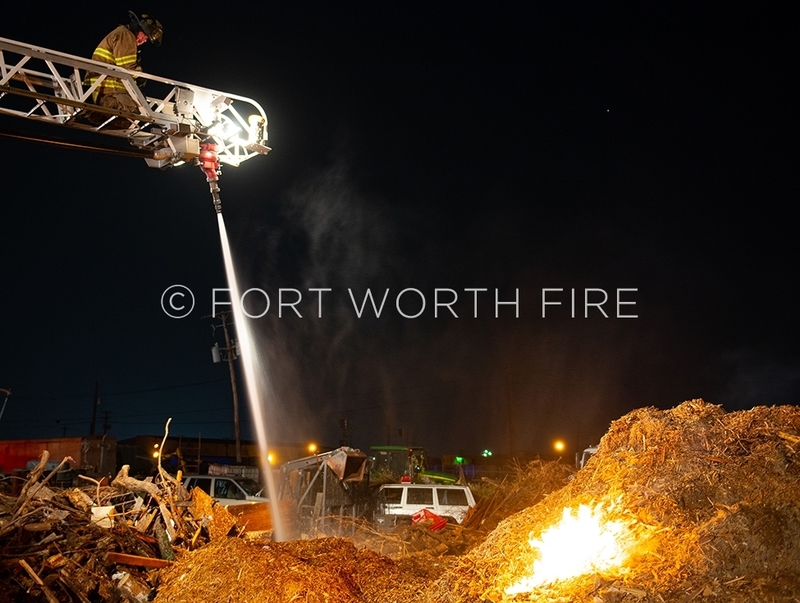 Brush 28 works at a large mulch pile fire.